Getting Mountain Fit - It's all a balancing act! 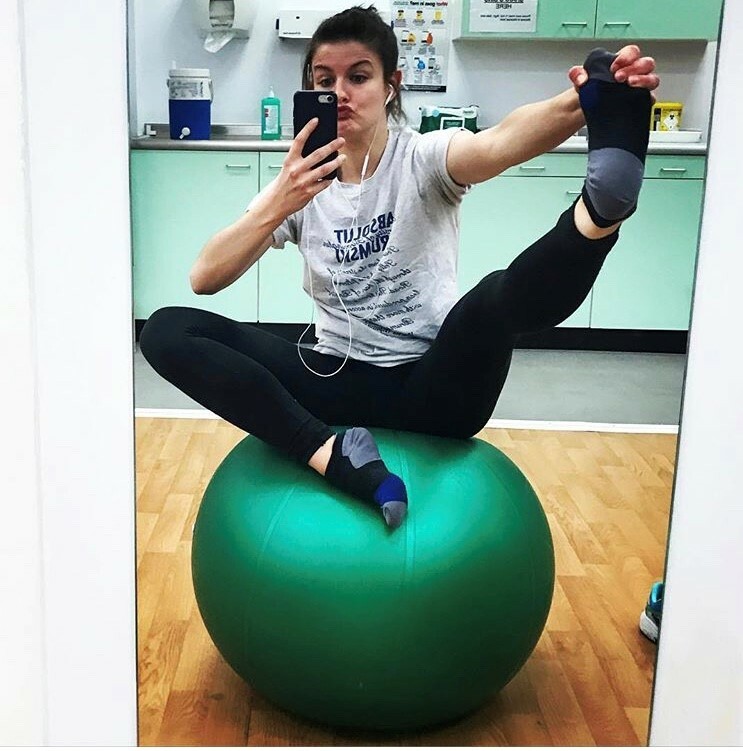 Getting ski fit is often a daunting process and as a gym bunny myself, I’m more often found under a barbell or on a treadmill than working on my balance. Recently however I’ve been working towards improving my fitness and skiing related skills including lots of yoga and stretching (see our blog in this series on Using Yoga to improve Flexibility and Mobility) but I have gotten bored of the spin bike and am finding the treadmill tedious so have swapped my trainers out for a much more of a fun approach. It’s important to keep things fresh and ensure you continue to challenge yourself! Mostly I’ve been exploring my balance and dynamic postural corrections. These both make up a large component of skiing and snowboarding, and allow you to adapt to changes in the surface below your skis/snowboard. Having good balance not only allows you to remain upright but it leads to more athletic, controlled skiing. There are a number of aids available to use in order to improve your balance training but often these are not essential. However, if you’d like to get more technical most are stocked in a well-equipped public gym. All of these can be progressed by closing your eyes or throwing and catching a ball. If you’re getting really skilled, try and incorporate a dynamic movement such as a squat or a lunge into the exercises above. Try to remain focused and relaxed throughout the rest of your body to avoid fixing through other body parts. Raising your opposite arm may help maintain your balance and engage your core! 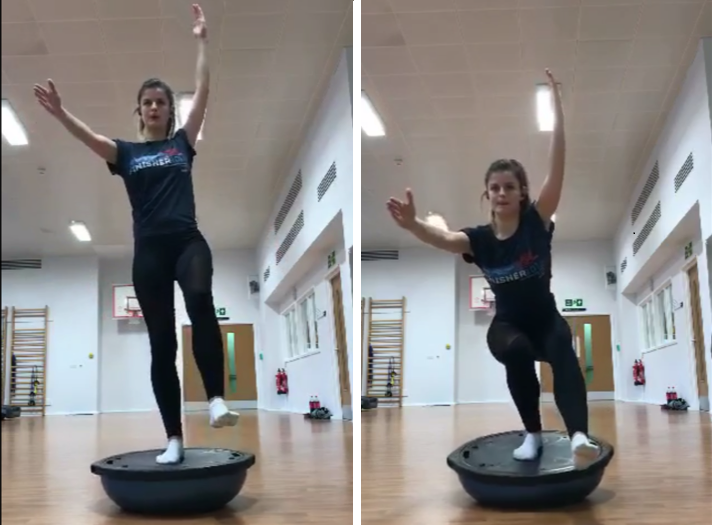 Below are some shots from this morning of my attempt at a single leg squat on a bosu board – still a long way from perfect but it’s getting there! And remember; whatever you’re doing in the gym, make sure you’re enjoying it and having fun! Leave a comment and let us know how you’re getting ready to hit the slopes!